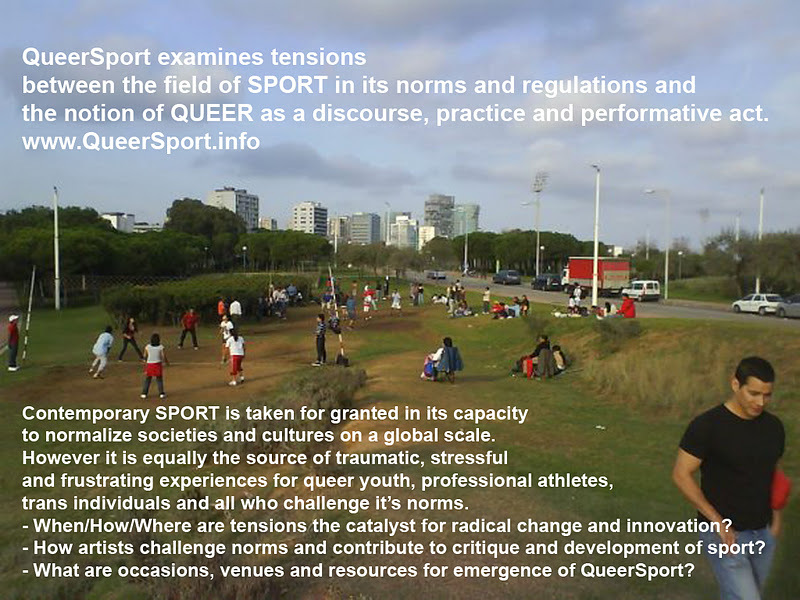 - This exhibition and the QueerSport.LAB program is part of a broader international creative inquiry into tensions between Sport and LGBT/Queer realities. Artists and communities presented here with their works and documentation point to some of many tangents in which creative engagement can work against the normativity of sport through queer expression. Though physically far apart, contextually constrained and of different methodologies and operational networks, all share a common understanding of sport as a context that is neither fixed nor given, but one that needs constant claiming and self-organizing and most of all, imagining viable alternatives.